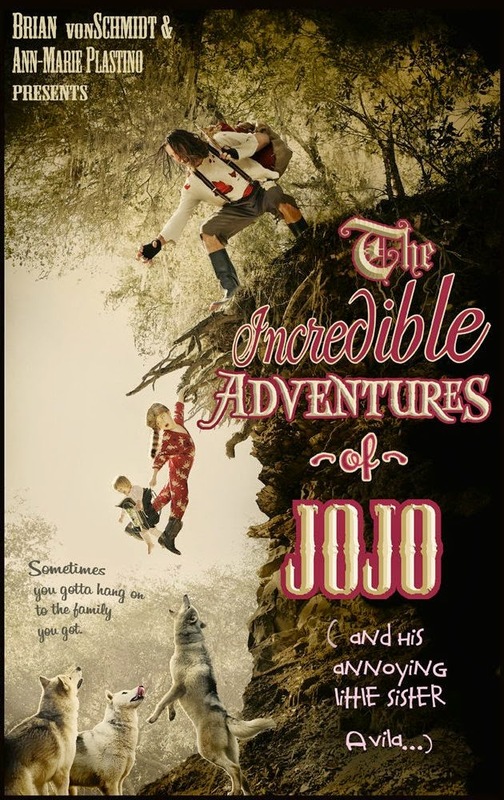 THE INCREDIBLE ADVENTURE OF JOJO (AND HIS ANNOYING LITTLE SISTER AVILA) opens with a warning. “This is not a film for overprotective parents. Boys use pocket knives. Girls eat bugs. You know, like the good 'ol days when parents had no idea what the heck their kids were doing.” Given that many modern parents won't even let their kids walk to the end of the block without adult accompaniment, that's a downright terrifying prospect for some, and one the movie indeed makes good on. In addition to the knife using and bug eating, there's also a fair amount of urinating on critters (including a cranky hobo), playing with wolf traps, and other precarious activities and situations that would give even the most laid back parents pause. The plot is pretty simple: after a visit to their grandmother's house, six year old Jojo (Joseph Ogando), his baby sister Avila (Avila von Goosebottom), and their mother (Gina Plastino) set off for home. The return trip comes to a halt, though, when mom crashes the car. The next morning Jo Jo and his sister wake up, but mom can't be roused. Jojo figures his best bet is to try and make his way back to grandma's house, so after briefly contemplating ditching his sister, he puts her in his backpack and sets off in what seems to be the right direction. The car and mom are found not long after by local police, who soon realize that there were kids in the car, as well. A search party is formed, but after two days the cops start to regard it more as a body recovery mission. As for mom, the movie remains mum on her fate. Despite the seemingly grave nature of the situation, the tone remains one of adventure and humor, and we're never really too concerned that anything bad will befall the kids. Written and directed by Brian Schmidt with cinematography by Ann Marie Plastino, THE INCREDIBLE ADVENTURE OF JOJO (AND HIS ANNOYING LITTLE SISTER AVILA) harks back to the individualistic, low budget regional films of the sixties and seventies more than modern indie fare. It's a little eccentric and rough around the edges, and it's pretty obvious that most of the cast are non-professionals. Nonetheless, the actors acquit themselves fairly well, with the kids in particular coming across as genuine. It's unclear whether the film's weathered look is intentional or not (we're not talking the full-on artifice of GRINDHOUSE here, but this still looks like a movie that's been through a projector a few times), but either way it adds to the old school vibe. Not perfect by any means, but it's far more personal and entertaining than yet another cookie-cutter hipster rom-com or coming of age story gunning for a sale at Sundance. 2 ½ out of 4 stars.